As soon as Jade saw the water, she just wanted to play in it. She loved it. She started letting the waves chase her. But one thing she didn't expect was the strength of the waves. 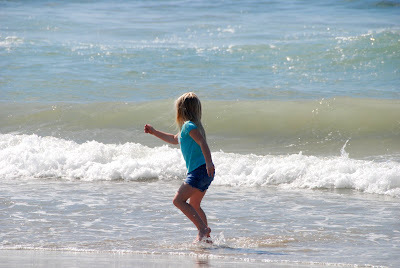 The first picture shows her running from the waves. Then there is a picture that I missed. In that picture you would have seen Jade's legs up high above her body and her body under water. When she stood up, there was no fear on her face. There was a huge smile! That smile continued. 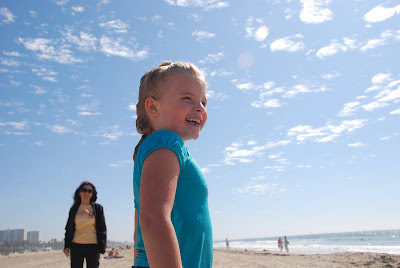 She loved the beach. There will be more pictures coming soon.